hd00:39High river flowing quickly after heavy rainfall in Virginia. 4k00:25A close up of of a small waterfall flowing onto an old log. 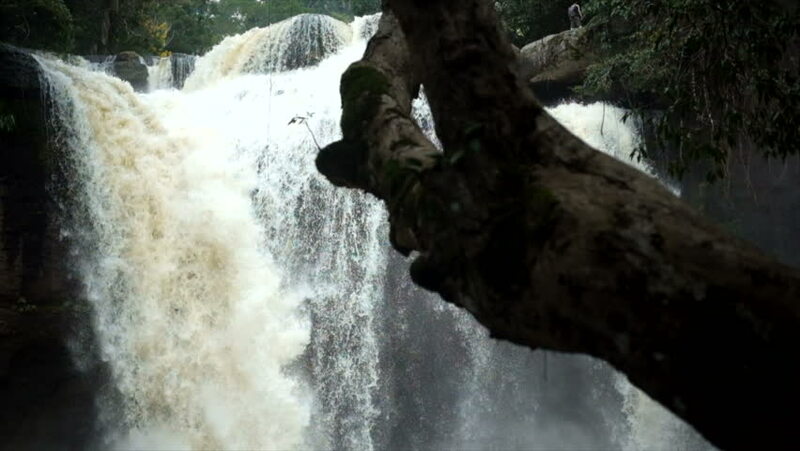 hd00:14Hinlad waterfalls, ko samui, THAILAND. hd00:20Curtis Falls waterfall in Mount Tambourine in slow motion. Waterfall in the gold coast hinterlands on the QLD and NSW border.